Late payment times have plagued small businesses for decades, with many experiencing serious cash flow difficulties as a result of unfair 60 or 90 day payment terms. In recent years, the problem has caught the attention of the government. The ASBFEO has conducted an inquiry into the issue, and made a number of recommendations to deal with the problem. The federal government, some state governments, and a few major corporations have greatly improved their payment times as a result, but the overall outcome for small businesses has been somewhat lackluster thus far. Now, Prime Minister Scott Morrison has stepped in to put pressure on businesses and state governments who continue to push unfair payment terms on their suppliers. Not only will many of Australia’s largest businesses be required to report payment information on their interactions with small businesses, those who pay late may lose lucrative government contracts as a result. The Business Council of Australia attempted to improve payment times for small businesses through a voluntary measure called the Australian Supplier Payment Code. This initiative was meant to encourage businesses to improve payment times to 30 days or less, and to give small businesses the opportunity to identify potential clients with better payment times. According to the ASBFEO, who initially applauded this move, the ASPC is currently “not working very well”. Only approximately 80 businesses have signed on, including only a small portion of BCA’s own members. This is damning, because the business community touted the supplier payment code as a great alternative to costly government action that would increase red tape, a scenario that everyone would prefer to avoid. To determine how recent changes have actually affected small businesses, Kate Carnell, the Australian Small Business and Family Enterprise Ombudsman, is currently surveying SMEs on the issue. Unfortunately, payment terms remain a serious problem for small businesses. Within a week of launching the survey, the ASBFEO has received 554 responses naming over 373 companies as having unfair payment times. Carnell stressed that some large corporations, such as Westpac, were putting in the effort to greatly reduce payment times, but that many others still have standard payment terms in excess of 60 days. To begin holding businesses accountable for their continued late payment issues, Mr. Morrison has announced that businesses with a turnover exceeding $100 million will be required to report on their payment interactions with small businesses. This will include foreign companies, as well as some government entities. Most importantly, businesses hoping to land big government contracts will be required to adhere to the government’s own 20 day standard payment policy. 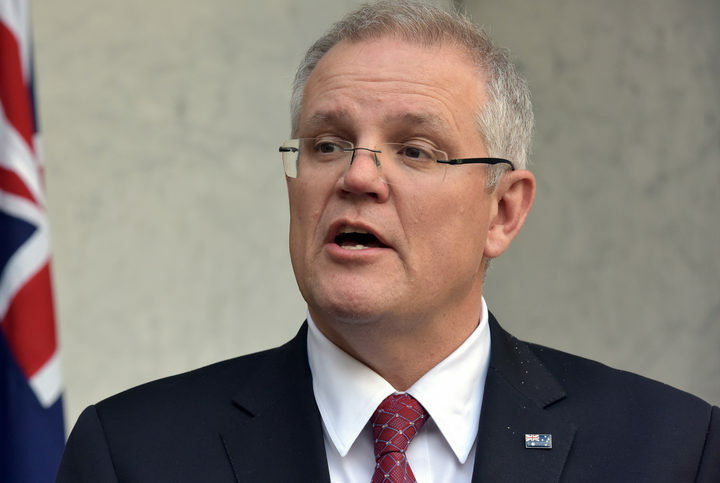 Currently, the government has managed to improve payment times to pay invoices under $1 million in under 30 days, but Morrison aims to cut this down to 20 days by July of 2019. Unlike previous voluntary measures, this will force large corporations who wish to work with the government to improve payment times to their small business suppliers. Furthermore, Morrison has committed to bringing this issue to the Council of Australian Governments, to ensure that all state government follow the lead of New South Wales to implement 20 day payment terms. This should, according to Morrison, set the standard for the business community in Australia. While the initial payment times inquiry, and the ASBFEO recommendations provided a lot of insight into the issue of late payment times in Australia, they didn’t immediately result in major improvements for small businesses. That’s because many businesses didn’t really need to respond to the problem. While some governments and businesses saw the need for change, and responded accordingly, most could get away with largely ignoring the issue in the short term. By continuing to pay late, these businesses could maximise the time for which they held onto their funds, giving them increased working capital and buying power for the duration. As Mr. Morrison mentioned, these institutions effectively used small businesses as a type of bank from which they could borrow money for free in the short term. This is the heart of the problem, but also precisely the reason so many large businesses haven’t significantly improved their payment terms. Going forward, these businesses will face significant, expensive consequences for continuing to pay late. With 36.2 per cent of Australia’s GDP generated through government spending, the threat of losing government contracts will influence many large Australian businesses. This, in turn, is likely to catalyse further improvements in payment times among other businesses, as norms and expectations change in the business community.